Like it LOUD? Telling Sam to SHUSH is like asking a baby polar bear to stop being cute. Impossible! He’s a smallish kid with a VERY BIG voice. 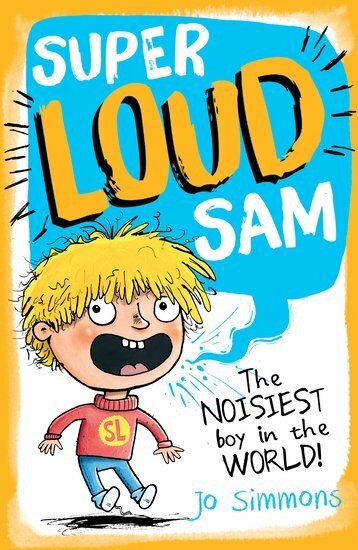 A normal day for Sam involves being told to shut up about 200 times. What’s the worst thing you can imagine? Snakes in your bed? School dinner for every meal? For Sam, it’s being silent. But now a sinister teacher at his school wants to silence all the kids forever. Can Sam’s shouty voice break her evil spell? Louder chuckles than a dinosaur barn dance. A book that shouts out to be read.